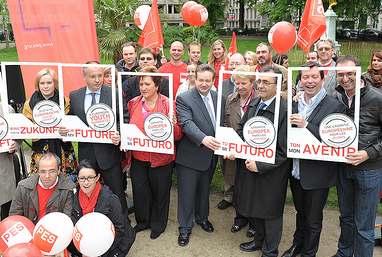 Croatia - Your future is my future - a European Youth Guarantee now! Last year youth unemployment average was 41.68% in Croatia. The European young socialists (ECOSY) summer camp met this week in Savudrija, Croatia. The event brought together over 1.600 young people from all over Europe and beyond. This year programme was dedicated to their core values (Equality, Solidarity, Freedom, Participation, and Democracy & Inclusion) and to the celebration of ECOSY’s 20th anniversary.